WILLEMSTAD - International legal publisher Chambers& Partners has launched the 2014 edition of Chambers Global; it’s annual worldwide ranking of law firms and individual lawyers. These rankings are based on credentials and provide insight for potential buyers of legal services. In the 2014 edition, six Curacao law firms are honored with a ranking. Like last year, VanEps Kunneman VanDoorne and Spigt Dutch Caribbean led the pack with a Band 1 ranking. On Spigt Dutch Caribbean, Chambers says that this firm maintains its position at the forefront of the market in Curaçao, and that its tax and corporate litigation teams are regarded as amongst the best in the country. 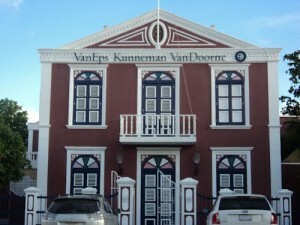 On VanEps Kunneman VanDoorne it is noted that the firm offers superb expertise in banking and finance and corporate matters, and that it is clearly deserving of its reputation as one of the island's top firms. Chambers& Partners also rank individuals. This year sixteen lawyers were included as specialists in the region, of which eleven are based in Curacao. Four are partners at VanEps Kunneman VanDoorne and two are partners of Spigt Dutch Caribbean. The other individuals work at other firms, including three firms outside the Dutch Caribbean that provide expertise in Caribbean law.